It’s World Pinhole Day and I am out taking photos with a couple of cameras. I took this shot last December beside the replica of The Pilgrim — the ship that Dana sailed around the Cape Horn. The day was overcast but clear. 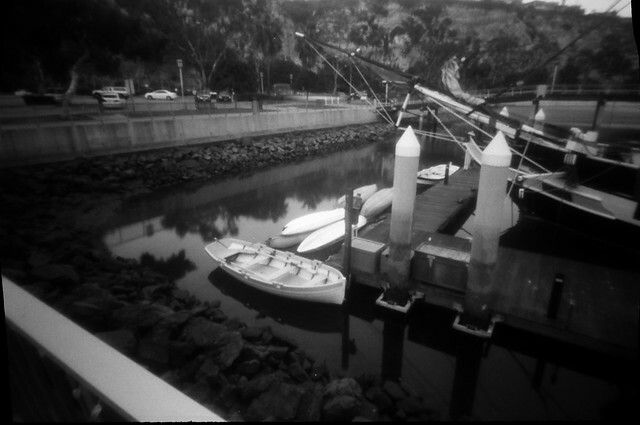 I built the camera — a P-Sharan STD — from a kit and used Kentmere film to test it because it was cheap. I was pleased with the results. I am probably using Ilford today.